Anyway, let’s talk about Christmas. Happy thoughts! This Christmas, I have made a decision to focus on easy recipes. I want my readers to be able to source for ingredients, cook in good time and have dinner ready in no time. Not only is Christmas about the food, but it’s about spending quality time with family. I remember growing up in Nigeria during Christmas time. My daddy(God rest soul), always had us kill and prepare the largest hen in the pen. Christmas dinner took all day to prepare. There was no such thing as prep work. Everything was done on Christmas morning. We would chop all the vegetables that morning, peel and butcher the hen and by the time dinner was ready, everyone would have been tired from a hard day’s work. We had fun with family, we spent time laughing, eating, and sharing stories. But thinking about it, I would have preferred to not have so much work to do…Really! So if you want an easy Christmas, oh I’m here for you this year. For me, Suya Koftas are the best thing to happen to my taste buds lately. Not only are they easy to prepare, but they are so damn delicious! 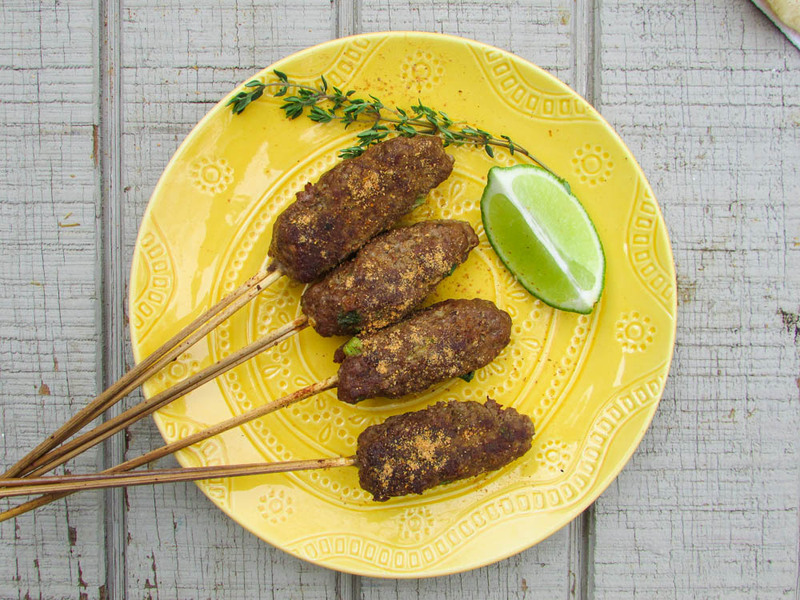 And you could always pair them with my suya sauce found in this recipe. If you’re having guests over; then this is the perfect starter to wow your guests. And oh! It’s also the perfect side with beer or wine…enjoy! Soak skewers over night in cold water to prevent burning during cooking. Mix all the ingredients(except the one for the basting) and fold into the beef. knead for about 2-5 minutes and let it rest. Mean while, mix the suya seasoning and oil and set aside for basting. Slightly wet your hands and roll the beef into balls or cylinder shapes. Drive the skewers into one end of the meat balls and grill in a 350 degree oven, stove top or a grill; making sure to baste in between flipping. Enjoy with any side. 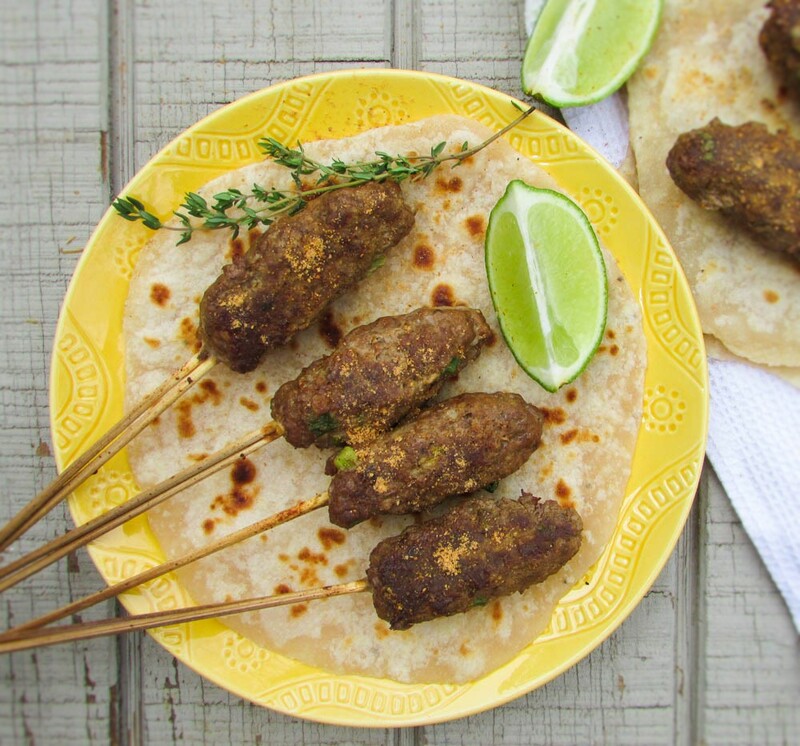 This entry was posted in Appetizers, Barbecue Recipes, suya, Suya recipes, Uncategorized and tagged beef kofta recipe, easy kofta recipe, kofta recipe, Nigerian christmas, Nigerian koftas recipe.